After a two year absence, the Illogic Pickle, Illogicopedia's premier writing competition has returned to taunt users with the promise of fame, fortune and the opportunity to be kicked up the backside by fellow competitors. Do not let this put you off entering, however, for it is not the winning but the irritating of judges that counts. For those of you new to the Pickle, you basically have four weeks to craft the most fantastic, earth-shatteringly wondersome article you can possibly muster. Then lose. But do not be downhearted if the judges don't select your article as the winner, for this year you shall have a second chance in the form of VFF. The best entries will be put to the public vote for a place on the front page, which, after all, is a million times better than winning some giant pickle that smells as if it's been sat at the back of a cupboard for a few decades. 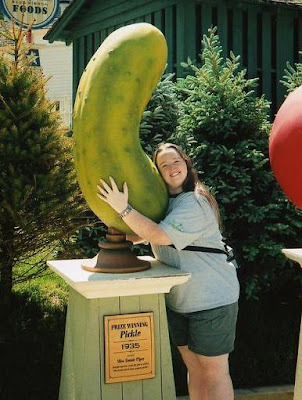 So yeah, erm, enter the Pickle. Go on, it'll be fun.